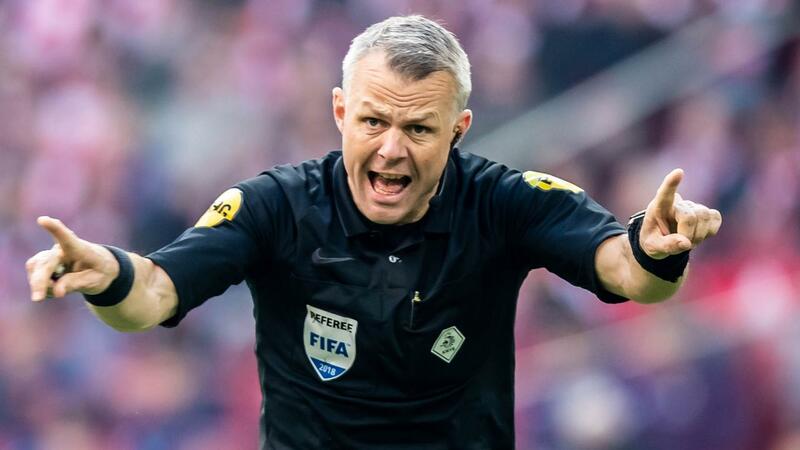 Björn Kuipers may still whistle a major international tournament. According to Erwin Zeinstra, one of his permanent assistants, the referee has informed UEFA that he will be available for the European Championship of 2020. So far, the 45-year-old Kuipers always said that the World Cup in Russia last summer was his last big tournament and that he sees Danny Makkelie as his successor. "But the last time he was at UEFA, he was expressly asked if he was available for the European Championships in 2020. He responded positively to that," said Zeinstra on Thursday against Omrop Fryslân. "He said: provided that I stay fit and still have the motivation, I am available, but only if he does not stand in the way of Danny Makkelie and his assistants Mario Diks and Hessel Steegstra He does not want to go to the European Championship instead of Makkelie." The ten-year-old Makkelie graduated last year to the elite group of the European referees. He is the only Dutchman in that category with Kuipers. Normally, only one referee per country can go to an European Championship or World Cup. According to assistant Zeinstra, Kuipers is absolutely committed to whistle at a major international tournament. "He is one of the fittest referees at the European level", according to the Frisian. "Together with, for example, Mazic, who is of his age and also asked for the European Championships in 2020. I only welcome it and am happy with it, but I'm sure it will stick to another tournament." Previously an umpire on an EC or WC was not allowed to be a parent than 45 years, but that rule has been canceled by UEFA. Kuipers was active at the 2014 World Cups and this year and was also in charge of competitions at the European Championships of 2012 and 2016.